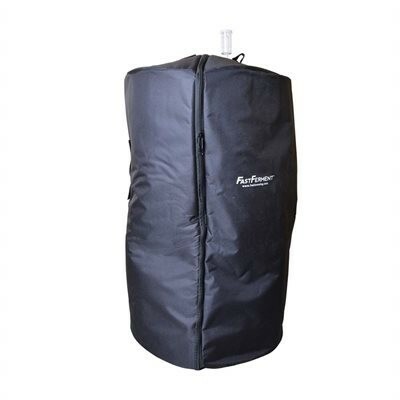 The FastFerment Insulated Jacket allows you to create the ideal temperature for your Brewing & WineMaking in FastFerment. It works with the Wall Mounts*** & with the Stand. In hot climates, add 2L bottles of ice to cool it down, switching them out every 2-5 days. In cool climates, simply add a heating pad.